I have mixed emotions about St Patrick's Day. On one hand, both of my ex-husbands are of Irish descent (at least partially) which makes my children a certain percent Irish as well. So, I feel obligated to honor the occasion in some fashion. 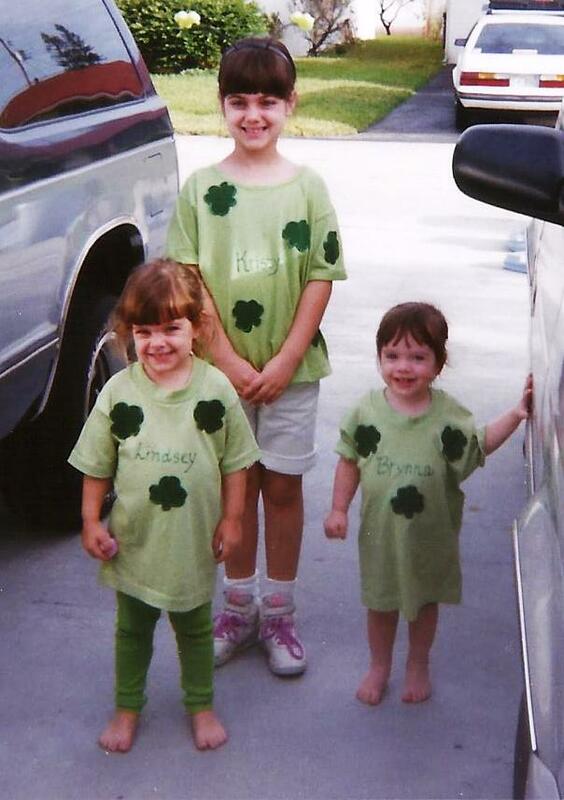 When they were young, we made a big deal out of the holiday; imaginary leprechauns left gold-wrapped chocolate coins as treats, the house was decorated with shamrocks and rainbows, and I painstakingly crafted special attire for the girls. As any proper wife of an Irishman would do, I perfected the baking of soda bread and boiling of corned beef & cabbage, and it was one of the few occasions where I'd put aside my vegetarian diet and taste a bit of each. Nowadays, though, things are different. No Celtic blood runs through my hunny's veins, and to him the day is like any other; if anything, it's just an excuse to drink an extra pint of beer. I don't eat meat, ever, and since my girls aren't living with me there's no need to cook anything special for them. Also, being pagan, I have some issue with St Patrick and his possible role in driving the "snakes" (aka pagans) out of Ireland. So, what to do? My dad is working about an hour away from our Ormond house, so he decided to drive over and spend the day with us. It's Bike Week in Daytona, and he was looking forward to hanging out, enjoying the sights. To put an end to the St Pat's Day dilemma, we chose to take him out to our favorite Irish pub. This way, the men could have a couple of beers and whatever festive fare they desired, and I was able to enjoy a guilt-free veggie burger. I donned my Celtic jewelry along with my regular attire, had a wonderful day celebrating in my own way.